There are many reasons to find our power, our special needs advocate power, so that we are able to advocate powerfully for our children and loved ones. Our priority is to ensure as best we can that they are capable of being fully functional and expressed people in their world. We want their world to be fulfilling and we want them to be safe. It does not matter what the special need and condition may be, whether it is autism, asperger’s syndrome, ADD/ADHD, having a sensory processing disorder, a central auditory processing disorder, being dyslexic or having any other learning disability, developing our personal power to stand up for what is needed for our children will be critical to their future successes. The laws; the legal aspects of being disabled and what is not allowed, not acceptable, not appropriate. Here now is where the “rubber meets the pavement”. Getting it right starts here. When you are striving for your loved one, talking with doctors, speaking with therapists, meeting with school staff on an IEP, conferencing with neurologists, social workers, anyone who has the alphabet behind their name it may feel overwhelming. No two ways around it…there is a lot to learn. My goal is to be able to tweek our memories or guide our thoughts as we prepare to step up in on our child’s behalf. In order to ease this sometimes emotionally charged communication I’m developing a couple of downloadable documents. Their purpose will be to serve as a process guide for being a powerful advocate. Anytime you are told a specific diagnosis, well then, its time to dig into that diagnosis so you really ‘get it’. Developing understanding of what you have been told is … ‘going on’ … with your child is going to open up the first elements of your personal power. Just as a house foundation has concrete blocks that are the outline for where your house is going to set on your property, your power has to have an outline too. Your education in what conditions and challenges face your child will become this structure for being able to powerfully speak up. One of the things that I am, as time permits, (and we all know how confining time can be with all we juggle) is to begin to learn more about the brain and how it works. Years ago I served as a licensed EMT and anatomy was my favorite subject. I’ve included a link here to a resource that will certainly be worth our time. Just take the time to go through the lessons as it is like going to school to learn the anatomy of the brain. Click Here! How cool is that! You’ve gotta’ know everything you can reasonably absorb about their condition and challenges. This way you can ask for appropriate supportive services that will give your kiddo a ‘step up’ addressing their physical, mental, and emotional well-being. After all each child is going to have to get along in the world as they grow older. Granted this will look different for each one of them, so our job today is to give them what they need for that future day. Knowledge is the first element in your ‘power’ arsenal. You are going to be advocating with professionals that are now, or will become, a part of your child’s life. This makes it important to know some of what they know, get a sense of their strengths, and what expectations they have to meet under the law. Inside this KNOWLEDGE foundation you create is where your floor will be poured, just like the cement foundation poured into a physical home that is built on land. You want your base, this poured in floor of knowledge to be ‘rock solid’. Your HOMEWORK and UNDERSTANDING the diagnosis…this is your ‘rock solid’ foundation. The link below will be helpful if you have a diagnosis or not. Specialists are the folks who will get the ball rolling to identify why and what is happening. Why isn’t he rolling over? Why doesn’t she wave bye-bye or shake her head. Why doesn’t he seem to mind when I leave or take much notice when I come back? What is your gut already telling you; that “somethings not right”? If your child is not meeting their age appropriate milestones this is likely a concern for their future. Time is of the essence! ACT on what your gut is telling you. This is a wonderful resource for assessing where your baby or child, ages infant to 5 years is developmentally. And as this federal guideline (checklist) makes clear, act early on getting services up and running for your kiddo. This is SO very important. Look…I know all to well that this takes time!!! And we all have a lot on our plates nowadays and time is in our world a precious commodity. But the time you invest could mean you are going to be ahead of the game, ahead of that curve ball, before things become 20 times more difficult. Keep in mind that when you see something is wrong, your pediatrician will refer you to specialists. If you are working a full-time job, balancing that with being a caretaker, my heart goes out to you. Keep ‘well baby’ appointments and be sure and talk about what is happening and what you are worried about. Take a list of the things you are observing. The link above can be used as an assessment tool that you can give to the health care professional (doctor, physician’s assistant, nurse, social worker, etc.). Keep in mind that when you see something is wrong, your pediatrician will refer you to the necessary specialists. Good doctor’s listen to the parents, after all you are with your child 24/7 and will be the one who has observed how things are going. There is a lot to think about here…so I hope you have found something helpful. I have a son with ADHD. He is adopted from Russia and tests off the charts for adult levels of ADHD. Your advice of “understanding” the diagnosis is critical. After I researched ADHD kids, I realized I was parenting all wrong for him. Once I adjusted according to his needs, life is great for both of us. It’s a parent’s job to be the voice for our children until they are capable to understand. Thank you for this site- I LOVE it! Just found your site and wanted to say thank you for picking up a niche like that. It’s very hard but at the same time a very noble task to help those kids that don’t have a normal, healthy life. I understand it because my own kid was born with a difficult disease. He died and all our other kids are healthy. But because of this experience I understand what it means (at least for parents). And now, here in SE-Sulawesi my friends run a small private school and they serve kids with special needs. I see them daily and you know what? It hurts me. So I just wanted to say thank you for dealing with it. I am most grateful for your kind and sincere response to my website, Egon. It is my hope that while reaching out to others facing similar needs for their children that I can shorten their learning curve. I have learned so much since beginning to care for my granddaughter following her mother’s death in 2010. She is a vibrant engaging little girl that moves at the speed of light 🙂 and my life is filled with love because of her. My heart aches that you and your wife had to live through and with the loss of one of your children. There are so few words that help but I hope you know that it does matter to me. Perhaps someday we can share the hope that has brought great consolation to my heart following my daughter’s death. Death is an enemy, so says an ancient man who had great love, even as I see that you and your family do. 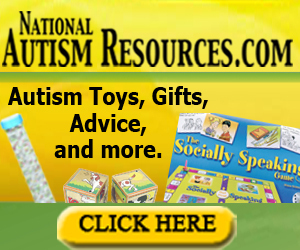 Thank you for this wonderful site to help parents with their children’s special needs. I must confess, being a bit older and growing up in the 60’s and 70’s with what is now diagnosed as ADHD, I can easily say that my mom especially, could have benefitted greatly from your breakdown and manner of dealing with issues. Linda, thanks again for this wealth of beneficial and professionally presented information on what can be such a challenge for so many. Hello Gary! I very much appreciate your generous spirit in sharing something so personal about your youth. And thank you for stating that you feel my breakdown and manner of dealing with issues would be beneficial to visitors here. thank you for doing such good job with this website! This is a very important issue. A lot of relatives of mine has dyslexia and I had a hard time to learn to read and write. I was told I was never going to be a teacher since my spelling was so bad. But I never gave up. As an adult I became a teacher – and I’ve written several workbooks for schools that has been published. When my son was 5 I realized he was showing the first sighs of dyslexia. I started to look for help, but no one listened to me. Finally, this fall at the age of 10, he was able to make a test – and guess what? He has dyslexia. And not an easy one. The test results was depressing. I can understand why he really don’t like school. Sometimes I think I might have known too much. As a teacher I had a lot of tools to help him. As a mom I helped him as much as I could. I was helping him the same way I would have helped a dyslectic child at work. Perhaps this gave his school the impression his problems wasn’t so bad. But it is. Thanks for making this site. I will return to read new posts. There’s so much to learn, both as a mom and as a teacher. Hi Marie. How kind of you to share your story here. I so get what you are saying and am delighted that through what had to be a difficult time as a student you have found your path in becoming a teacher and helping other teachers reach out to children who struggle with this learning difficulty. You know what you said about your son having received your tenured help gave the school the impressions his problem wasn’t so bad…and it is. I have seen that over and over again with my daughter’s daughter. It is apparent that you have a strong spirit and profound love for your son and for children everywhere. I am delighted to have met you and look forward to more dialogue. In time I will be getting information up here about dyslexia, I think its very important I do so! When one volunteers its a good thing, when one volunteers to coach special needs kids its positively AWESOME. It is so true sharing in this way affords an opportunity to reflect on how much we have to be thankful for. I have and continue to be VERY thankful for my precious 6 year old. Life is good and being her mom is the best thing ever, having her tell me “I love you” makes the entire world sparkle. I really appreciate that you took time to drop in and for your feedback about the appearance of my site. I feel grateful every time I came across a site about special children or persons with disabilities, for personal reasons. As a child I was actually considered to have autism by the grown ups simply because I rarely talk. It was only later I realized that I am just an introvert who gets tired easily with casual conversations. Today in the Information Age, children are more fortunate to receive guidance and support because of the greater awareness and spread of information. Thanks so much. Thank you Glen for your time and for the personal sharing you have given us about your youth. With so much to care for in the lives of special needs children I too am grateful that there is a great deal of information. Receiving guidance is in my mind one of the functions of this site. I appreciate your time and your visit. Please if you think someone in your circle could benefit, pass on my link so they can come for a look too.